Nowadays 3D printing is coming on leaps and bounds with everything from houses to cars being made, but now you can even print your own vinyl records. Developer Amanda Ghassaei from Instructables is the brains behind the operation, using her algorithm to convert digital audio files into 3D geometric data. In the past she has manufactured 3D vinyl records for singles from artists like Nirvana, Pixies, Daft Punk, and Radiohead. Most recently Ghassaei made a vinyl for the song Down Boy, performed by Bobbie Gordon and produced by Kele Okereke. It was created on an Objet500 Connex 3D printer at fine settings like 600 dpi, with 16 micron steps. Although because Ghassaei's algorithm uses an 11 Khz sampling rate, the resolution of Down Boy is quite low - around 25 per cent of what you could get from an MP3. 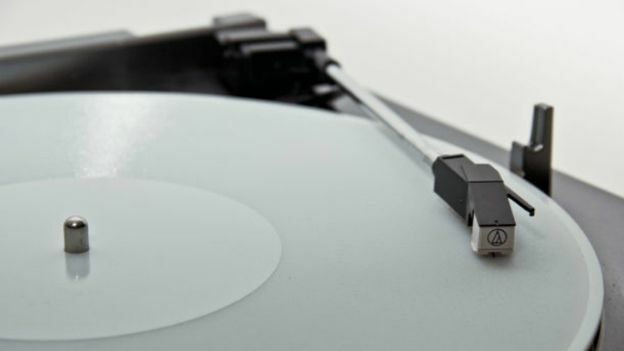 It's been said that 3D-printed records have a sound that is audible and distinguishable but still distant and hollow. Down Boy was a sponsored and documented project by Bacardi Beginnings, marking the first time that an original song had been released and sold as a 3D-printed album. If you have the tech and the time, then head over to Ghassaei's Instructables site where you can find everything you need to print your own vinyl. Check out the video below to see what's involved in the record-making process.